On the one hand, the chic of a perfectly sober shade of grey. On the other hand, high-impact shades of green, offering an amusing twist on military camo codes. With 100 featuring a Titalyt case and 250 clad in stainless steel, the two limited series of the L.U.C Chrono One Flyback are dissimilar and yet immediately recognisable. 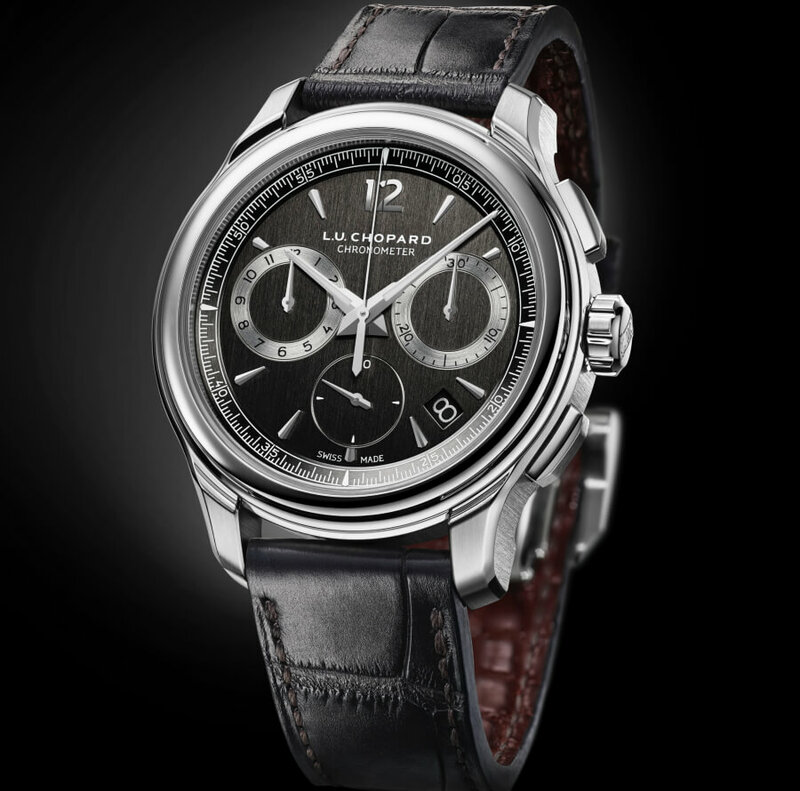 Equipped with a calibre developed, crafted and assembled within Chopard Manufacture, L.U.C 03.03-L, this flyback chronograph plays with male fashion conventions. Adopting a virile yet not swaggering attitude, it is imbued with the contemporary, relaxed yet controlled elegance that is the unique signature of the L.U.C collection. After several editions of L.U.C Chrono One chronographs with a 44-mm diameter, all made of precious metals such as rose or white gold, L.U.C. 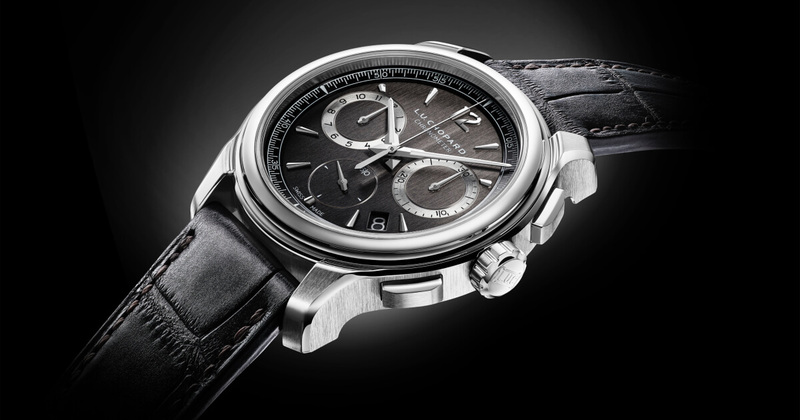 is taking its chronograph expertise to a new level and style. Featuring a more modern design and crafted from modern materials, the two versions of the L.U.C Chrono One Flyback measure 42 mm in diameter and 13.42 mm thick. Guaranteeing versatility and ensuring quality of construction, both feature a case that is water-resistant to 100 metres. In addition, the L.U.C Chrono One Flyback welcomes the aesthetic details shared by the entire L.U.C. 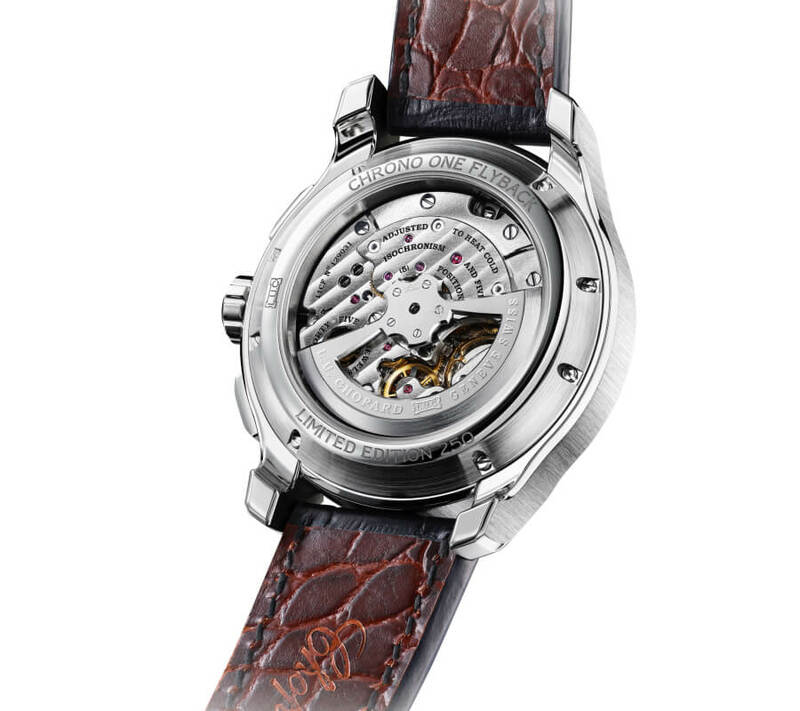 collection: the Dauphine fusée-type hands enhanced with luminescent material; the faceted arrow-shaped applied hour-markers; the slender understated fonts; along with the L.U.Chopard signature appearing just below 12 o’clock above the Chronometer inscription testifying to the high-precision standards cultivated by the entire L.U.C. collection. The first of these two new iterations of the L.U.C Chrono One Flyback is available in stainless steel, with L.U.C's own finishes, namely vertical satin-brushed sides and polished bezel and lugs. The dial accompanying this 250-piece limited series is grey with a fine vertical satin-brushed motif. The result is tone-on-tone, chic, relaxed and understated. This modern classic is naturally complemented by a slate-grey alligator leather strap with a brown alligator leather lining. The second version places the emphasis on sport and masculine pursuits with a play on colours that is entirely new to the L.U.C. collection. The dial is military green punctuated by steel grey hour-markers, hands and counter rims. The case is also dark and matt, thanks to the use of Titalyt a material widely used in the aerospace, aeronautical and medical fields that is known for its hypoallergenic properties. It benefits from the natural lightness of titanium, whose hardness and abrasion resistance are reinforced by electro-plasma treatment. On the surface, the metal has changed in nature and colour, while its core remains as strong as ever. High-performance green Titalyt also exudes an understated and undeniably masculine appearance, perfectly in tune with the desire to create a smart modern chronograph that plays on military colour codes and style, in the spirit of the times. This explains why these 100 timepieces are fitted with a double-sided brown calfskin strap. 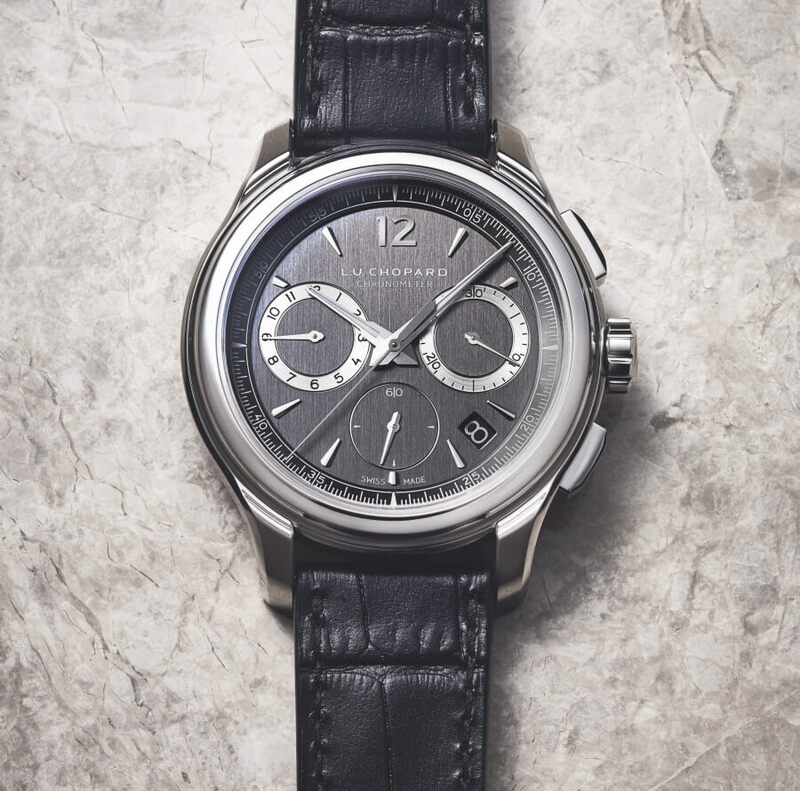 Within the L.U.C Chrono One Flyback beats L.U.C Calibre 03.03-L. Inaugurated in 2007 with the first L.U.C Chrono One, this chronograph calibre from the Chopard Haute Horlogerie collection is operated in its self-winding version. After having been the subject of many very high-end variants, this high-performance calibre takes its place in a stainless steel or Titalyt case. 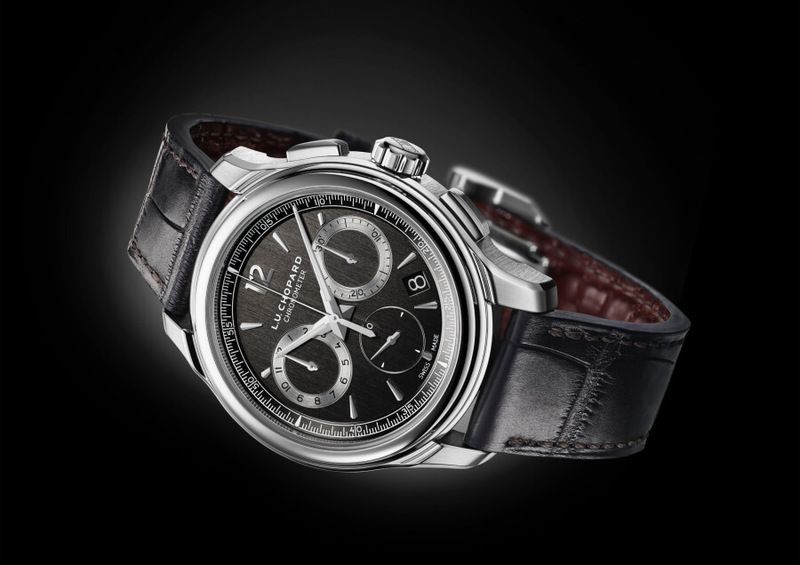 While it combines the characteristic features that are the classic signatures of Chopard Manufacture, its chronometric performance is guaranteed by the COSC, a systematic certification of Chopard timepieces with small seconds, reflecting a clear commitment by Chopard co-president Karl-Friedrich Scheufele. 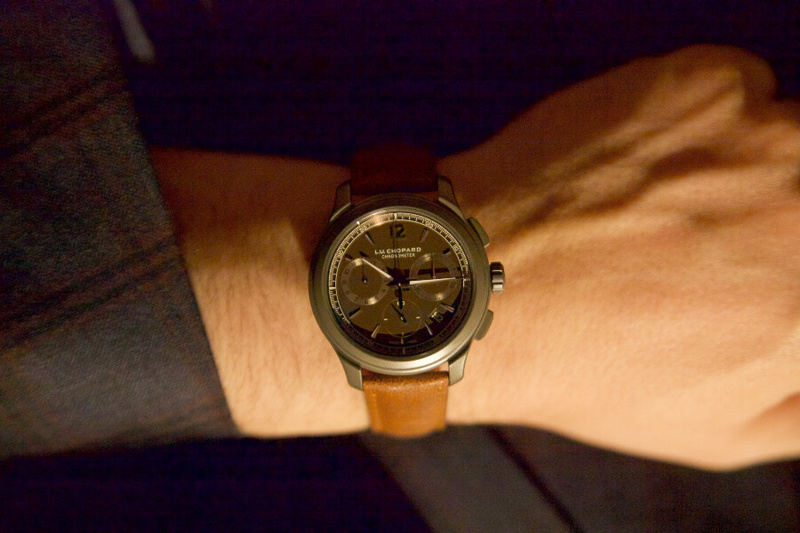 Its generous 60-hour power reserve is amongst those practical attributes that make all the difference. In addition, it has been optimised to provide high-quality sensory feedback. The soft yet accurate activation of the broad pushers provides an immediate feeling of quality under the fingertips. 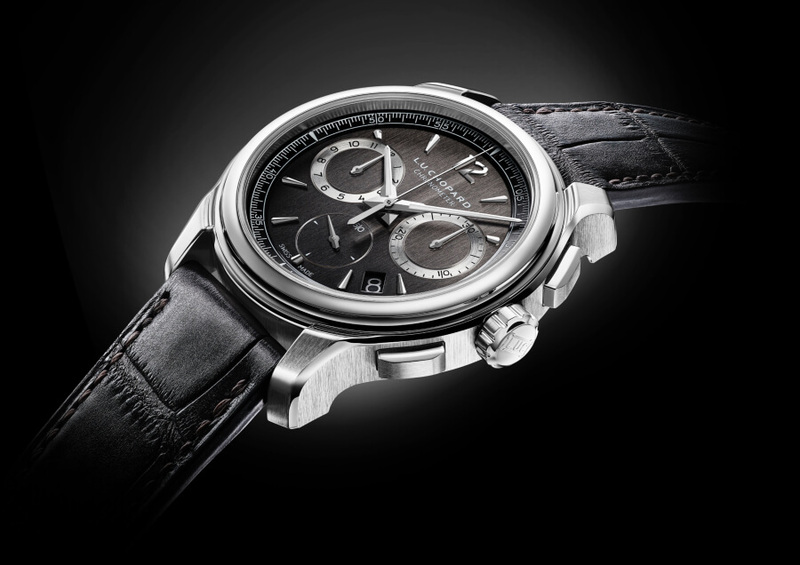 Offering this delicate yet high-performance touch signals the innate elegance of a true chronograph. As its name implies, the L.U.C Chrono One Flyback chronograph features a flyback function enabling it to measure short times in quick succession by allowing the wearer to zero-reset the counters at a single press. 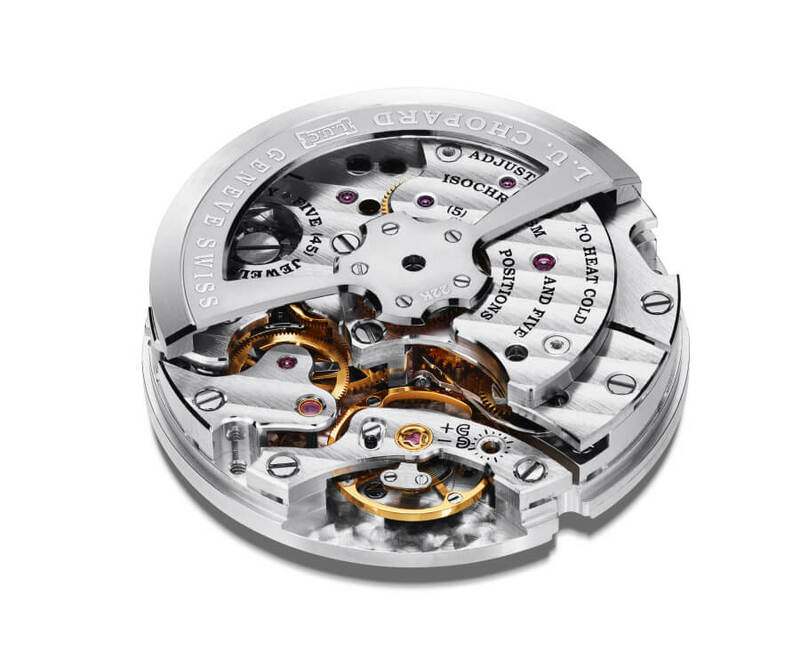 The calibre is also equipped with a stop-seconds device enabling highly accurate time setting; in addition to an openworked 22-carat gold rotor, providing a clear view of the high-end hand-crafted finishing, while also optimising its winding power due to its high density. 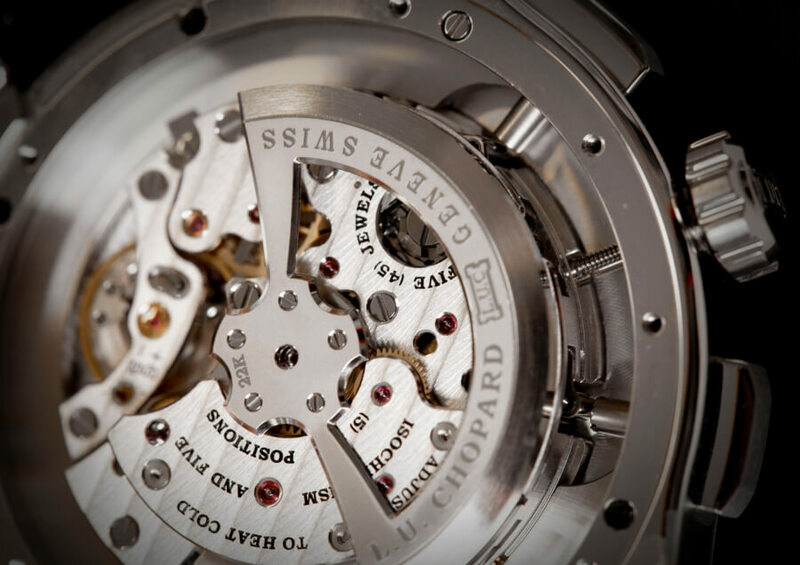 All these technologies developed by Chopard's research and development teams are the subject of four validated patents attesting to the degree of innovation and fine craftsmanship of the L.U.C 03.03-L calibre.